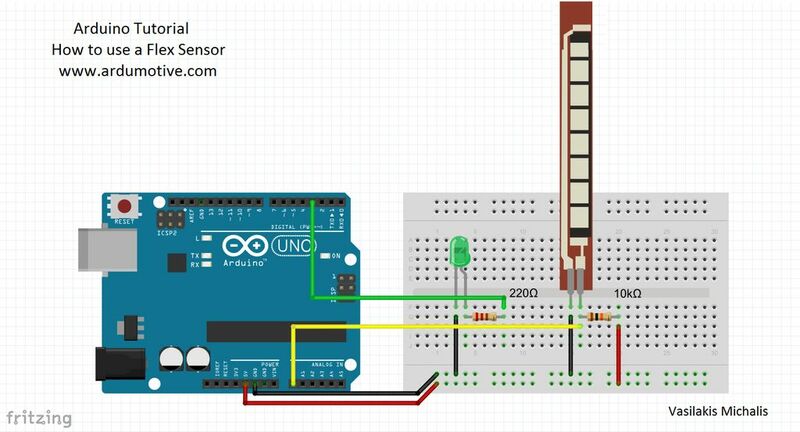 In this "How to" tutorial you will learn how to use a flex sensor with Arduino uno. A flex sensor uses carbon on a strip of plastic to act like a variable resistor. The resistance changes by flexing the component. The sensor bends in one direction, the more it bends, the higher the resistance gets. 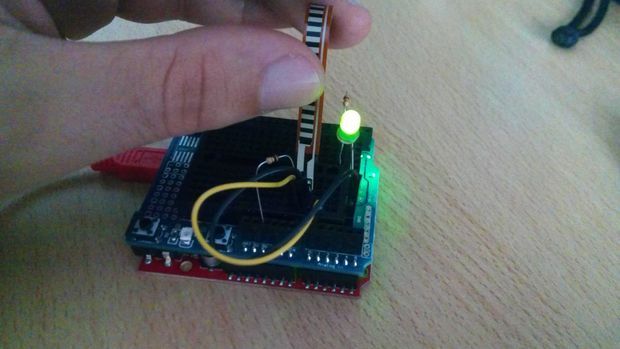 In this example we will use a flex sensor to fade an led. A flex sensor has a range from about ~10K to ~35K, that means it won't give us a full 0-5 volt range (or 0-1023 analog value). 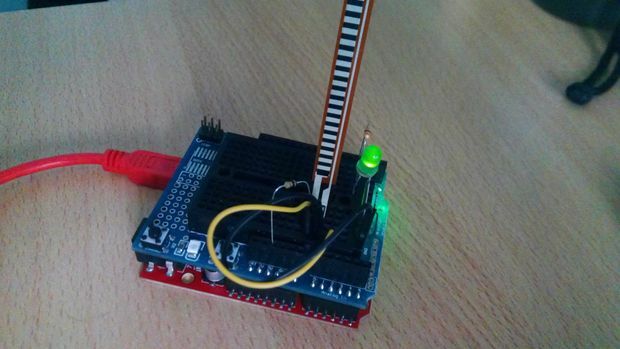 Try to use the serial monitor below to find out what analog value you will take while you bending the sensor. It supposed to be between 700 to 900. ​You can make your own modifications to the code, for example, you can change "700-900" values in map function. 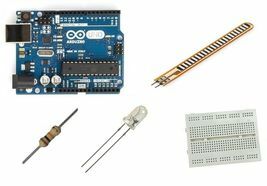 You have successfully completed one more Arduino "How to" tutorial and you learned how to use a flex sensor with Arduino. I hope you liked this, let me know in the comments.